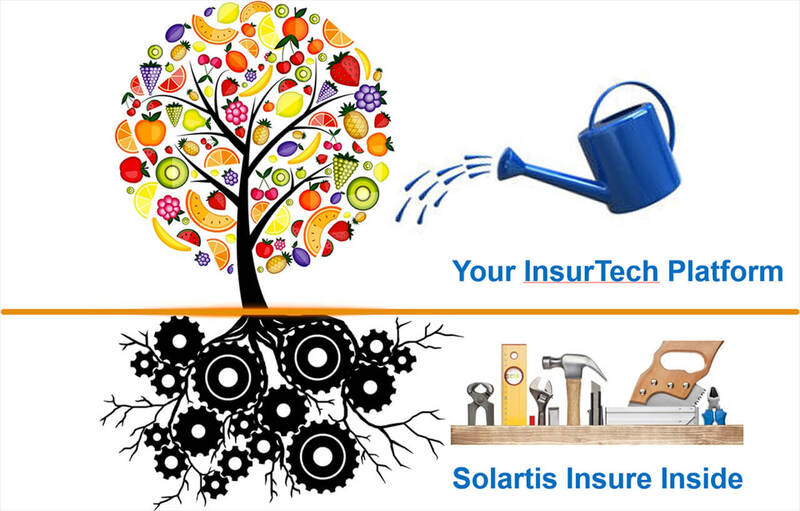 Say Hello to Solartis at Insuretech Connect 2017 and see how the Solartis Insure technology fuels the fruits of your labor…. Platform as a Service (PaaS) - Our sales and policy life cycle microservices (APIs) without the user interface. For usage by your IT group, your aggregator, your MGAs, your Brokers and other distribution channels in their technology platforms and/or projects. Software as a Service (SaaS) - Our microservices including the user interface. We provide it all, from consumer portals to full blown underwriting systems with full user experience. User Sandbox - Try examples of our sales and policy administration user interfaces. Quote, propose, pay and issue test policies on your own on our example products. Business Analyst Sandbox - Try our lightning fast rating microservice in our test harness by selecting an ISO ERC version. Test your own data in the JSON request and see the ISO forms list, rates & premium info in the JSON response. Developers Sandbox - Access and use our sales and policy life cycle microservices to rate, quote, pay, bind, issue, endorse, cancel, reinstate, and renew. Download our .NET or Java code snippet and try out our APIs in your development environment.